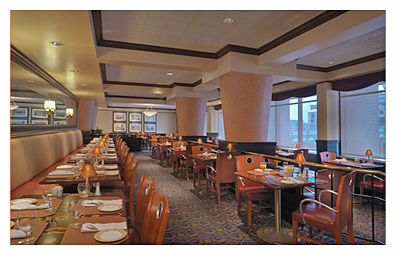 The Amway Grand Plaza hired us to work on the remodel of their Bentham's restaurant. The new look required us to redo the wallcoverings and paint the waitress station walls. Along with this we touched up and applied finish to much of the woodwork throughout the restaurant. It now has the new, fresh, and clean feel that they desired.